The first retail unit of the all-new 2015 Ford Mustang will be sold at Barrett-Jackson Auction Company’s event in Scottsdale, Ariz. on Jan. 18, 2014. Offered at no reserve, all proceeds from the Mustang’s sale will benefit JDRF, the country’s leading global organization funding type 1 diabetes research. Since it debuted in April 1964, Mustang has always been “the car designed to be designed by you,” offering a range of powertrains, colors, bodystyles and other options. The 2015 edition stays true to that formula with three engine options and new technology features, further adding to the seemingly unlimited customization options. The winning bidder of Lot No. 3010 will be able to choose either a manual or automatic transmission as well as any interior, exterior and stripe color combination offered on the new Ford Mustang GT. 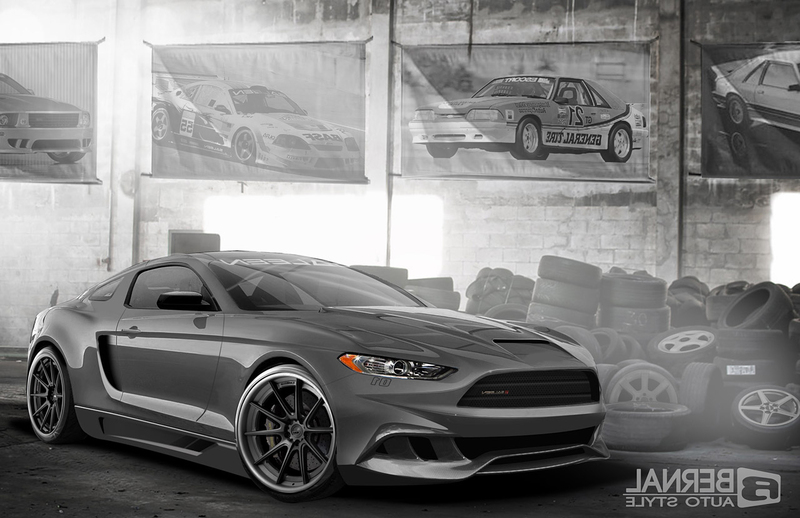 The team involved in Mustang design and development will sign the car in appreciation of the donation to JDRF, and the car is scheduled for delivery after production of the new model year begins. Ford is one of JDRF’s first global partners and has supported the organization since 1983. During the auction, Ford is also offering ride-and-drive and hot lap experiences at WestWorld for those attending the sale. The ride-and-drive will feature Ford’s elite stable of 2014 vehicles, and the hot lap experience includes the Shelby GT500, Focus ST and Fiesta ST. This entry was written by by Drew Phillips (Mustangs Daily) and posted here on Friday, December 20th, 2013 at 5:49 pm and is filed under 2015 ford mustang, 2015 mustang, 2015 mustang barrett-jackson, barrett-jackson, barrett-jackson 2014, News. This article was not written by us, rather gathered using RSS feeds listed here. We take no credit for this article. You can leave a response, or trackback from your own site.